Minnesota Fishing Guide Service - Fish Minnesota's top lakes! 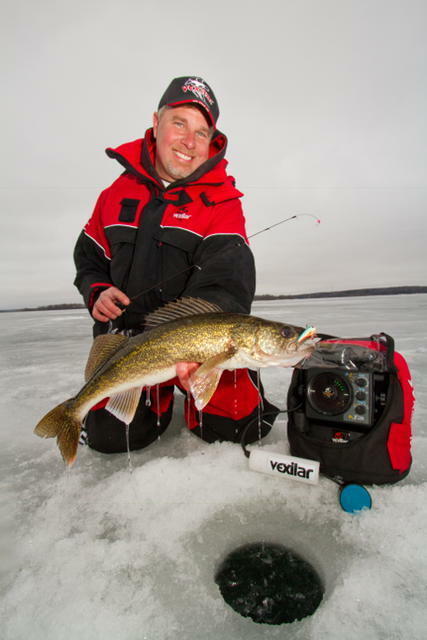 Catch fish on the ice in comfort and warmth! Captain Josh Hagemeister and Minnesota Fishing Guide Service is a full time professional guide service with 29 years of fishing experience throughout the state. The rental areas include Alexandria/Osakis, Brainerd /Nisswa, Ottertail / Fergus Falls, Park Rapids, Paynesville, Cold Spring/Richmond, Mille Lacs, and the St. Cloud metro. The fish houses comfortably fish up to 5 anglers. The fish houses are on wheels and get moved on a regular basis to keep you on the fish. 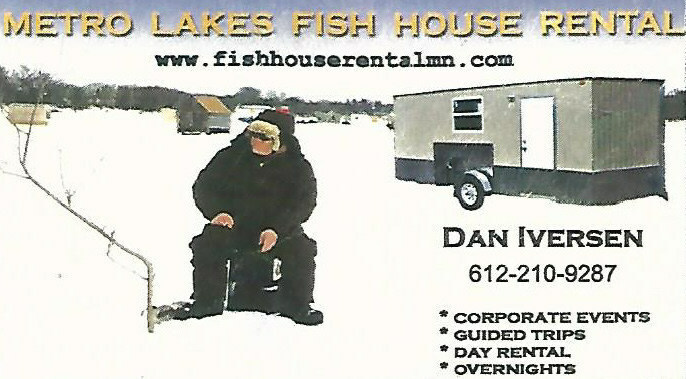 Minnesota Fishing Guide Service also offers ice house placement services if you want to use your own fish house. We find the spot, tell you where it is, and you bring your ice house. Rates for spot finder services are $200avg. Day houses rates are $200 weekday or $225 per day on weekends*. Day packages include hot coffee, fresh live bait, rattle reels/tip ups, and the full use of a deluxe heated ice house for one day, holes drilled/cleaned. Rods/reels/tackle, fish cleaning, and electronics (Vexilars) are also available if needed. Visa/Mastercard accepted. 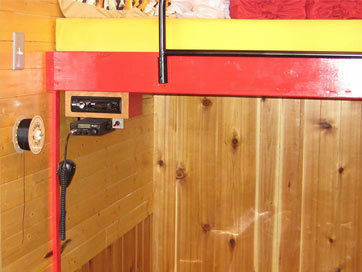 Deluxe Sleeper House rates are $300 per day weekdays to $325 per day weekends*. Customize your sleeper adventure! 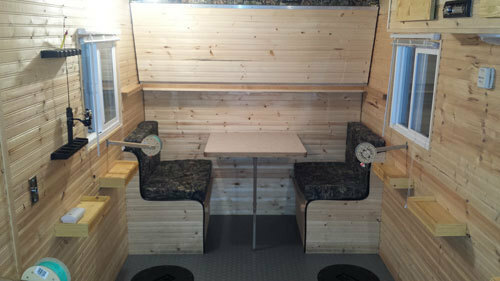 Sleepers accommodate up to 5 anglers and include full cook top/oven, rattle reels, tip-ups, and live bait. 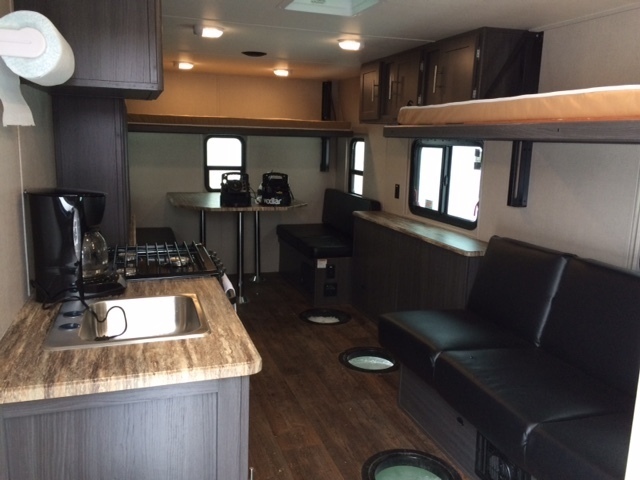 Electronics (Vexilar), fish cleaning, generators, smart tv, coffee maker, microwave, dvd player, or DISH Tailgater satellite tv also available. Visa/Mastercard accepted. Pick a lake and go! 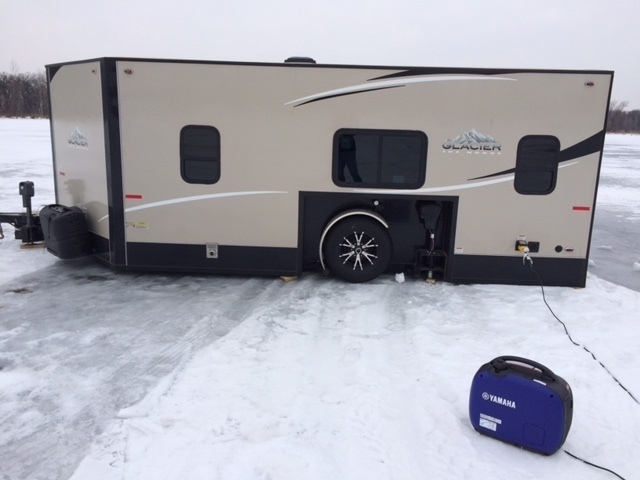 Mobile fishing and learning how to be a better ice angler at its finest. $595* per full day for up to 4 people (additional people extra). The fully guided fishing trips are similar to an open water trip in a boat! Fish with the guide (Capt. 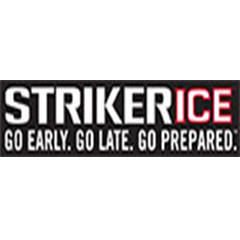 Josh) for a full day (using what the ice allows portables/wheelers, wheel houses/ trucks) and learn the tips and tricks it takes to be a successful ice angler. Search the lake, drill holes, fish and do it again until the active fish are found. 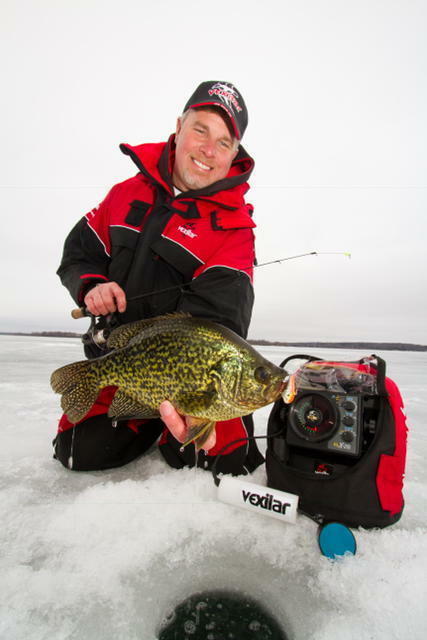 It is a great way to learn how to find the fish through the ice! The trips also include hot coffee and donuts (if I don’t eat them first), an on ice lunch, plenty of fishing tips, use of all tackle and electronics and bait. Visa/Mastercard excepted. 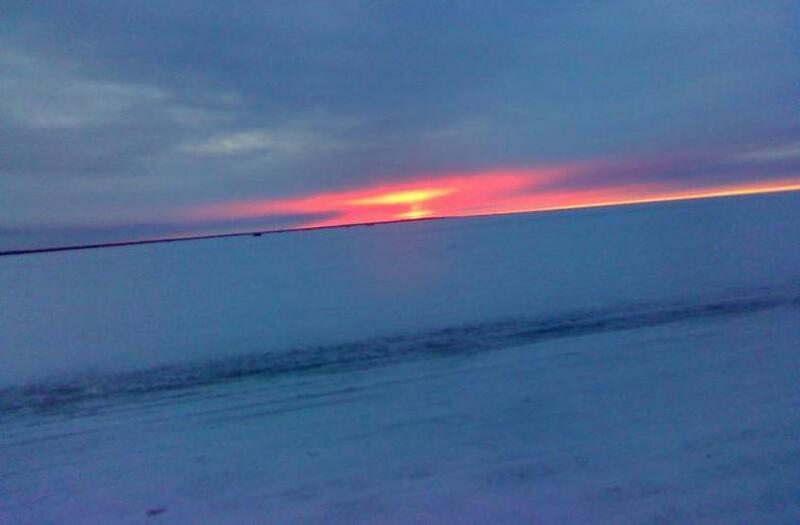 Reserve your ice fishing trip now. Or complete the simple form here to request additional information.